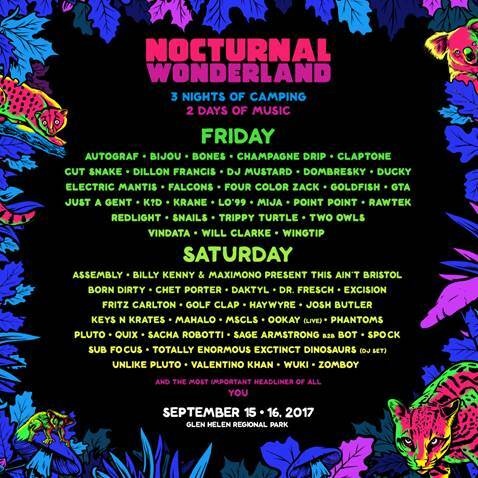 Today, Insomniac announced the lineup by day for over 60 influential acts set to perform at the 22nd annual Nocturnal Wonderland. 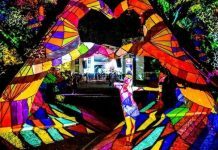 Returning to San Bernardino, CA on Friday, September 15 and Saturday, September 16, North America’s longest running electronic festival will host three nights of camping and two nights of music across four new stage designs debuting at Glen Helen Regional Park. 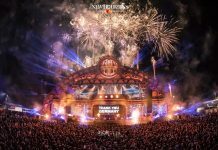 Fans at the Wolves’ Den will witness epic sets from the likes of Dillon Francis, DJ Mustard, and Mija on Friday, followed by Excision, Valentino Khan and Zomboy on Saturday. The Sunken Garden stage will host guests in a forested realm as Cut Snake, Claptone, and Redlight curate a groovy experience on Friday while Billy Kenny & Maximono, Sacha Robotti and Totally Enormous Extinct Dinosaurs drop endless upbeat tunes on Saturday. 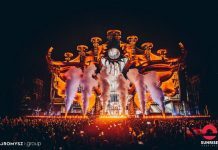 The Labyrinth will immerse Headliners in a maze of bass and house melodies provided by Autograf, Vindata, and Trippy Turtle on Friday followed by Chet Porter, Haywyre, and Keys N Krates on Saturday. Temple Noctem will supply a diverse weekend of dancing in the dark to the sounds of Rawtek, Just A Gent, and Falcons on Friday, with Born Dirty, Mahalo, and Sage Armstrong b2b BOT closing out the event on Saturday. 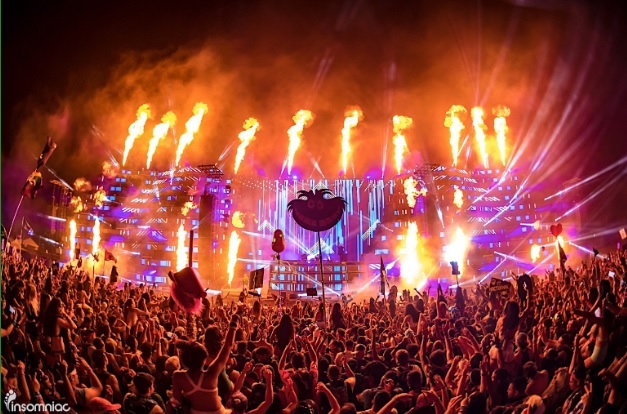 Nocturnal Wonderland will transport attendees into an imaginative atmosphere full of interactive art, costumed creatures, and communal camping activities throughout the weekend. Fans can participate in the full Nocturnal experience by sleeping under the stars in the expansive Glen Helen campgrounds. Campers will have exclusive access to the pre-party on Thursday night, as well as the refreshing water park and water slides during the day. Only campers will have in and out privileges between the festival and the campgrounds so they are able to come and go freely in between activities like arts & crafts, yoga, stargazing, nightly silent discos, and sets inside the event. Two-day general admission passes start at $150 plus fees while single-day passes are available for $75 plus fees, here.